Lindores Equestrian Launch Innovative Pace Training Facility. 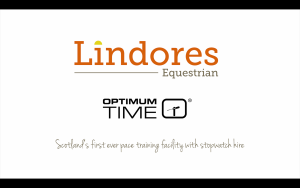 Lindores are extremely excited to announce our collaboration with Optimum Time to launch Scotland’s first ever pace training facility with stopwatch hire. The innovative pace training facility called Lindores Optimum Time Trial incorporates optional British Eventing style 80cm and 1m cross country fences located around a safe grass track with 30 second meter markers set for Pony Cub and BE80, BE90 and BE100 speeds. 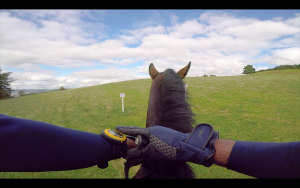 The Lindores Optimum Time Trial will allow riders to safely practice balanced and controlled pace using a stop watch to familiarise themselves with the correct pace they need to be travelling at in order to remain within the time when competing at cross country events. The track is also designed to help riders increase their horse’s fitness levels to help prepare them for competitive events. 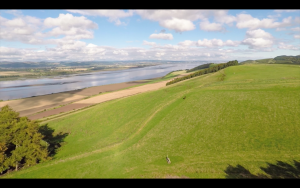 The full track is on good going grass and located within view of the established Lindores Cross Country ground, but it is designed to be far apart to offer space for safe riding and training. Anna Black, Manager of Lindores Equestrian said, “We’re so excited to be offering something completely new to the equestrian training market. Lindores developments are consistently driven by customer and market demands and thanks to our ability to listen and continually invest Lindores Equestrian continues to cater for riders of all abilities whether their priority is pleasure or progression. Tim Hawkins Co-owner of Optimum Time, the UK’s leading stopwatch manufacturer for the equestrian industry provides stopwatches for all levels of equestrian Eventers globally. 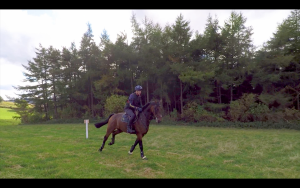 Be sure to watch the Lindores Optimum Time Trial demo film on You Tube with rider and instructor James Oakden BHSA I riding SVS Upbeat. His commentary is ideal for riders or instructors wanting to be the first to know how to use the brand new pace track. 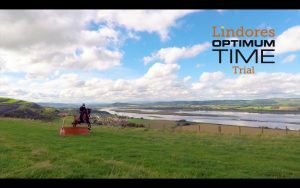 The Lindores Optimum Time Trial can be used by any rider, camp attendee or horse holiday guest hiring Lindores Cross Country course. To book the Optimum Time Trial Click here <www.lindoresxc.co.uk/online-booking> and select ‘Cross Country hire with NEW Optimum Time Trial’ in the facility drop down menu. Riders have the option to hire an Optimum Time stopwatch from Lindores Equestrian whilst using the Lindores Cross Country training facility. To do this please add in your booking comments and ask at reception. There is a small security deposit and a £5 hire charge. Lindores Optimum Time Trial opens March 2018. Any customers wanting to find out more about Optimum Time watches visit www.optimumtime.co.uk. We look forward to welcoming you to Lindores. Nominated Equestrian Business of the Year 2018 and 2017 by HorseScotland.